It’s Travel Thursday! A new weekly series on the blog where I’ll share everything travel related! Tips, recommendations, hotel and restaurant reviews, travel guides and more! 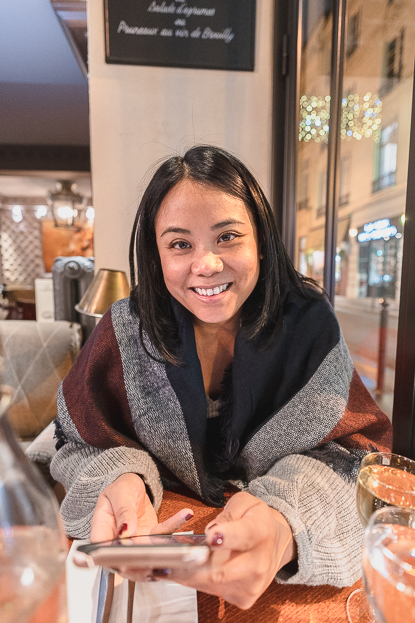 To kick things off, today I’m sharing with you the 5 important restaurant and dining tips that I wish I knew before our trip to Paris. I hope you enjoy this post and that you’ll enjoy this weekly series. Tipping is not customary in Paris unlike in the U.S. We’re so used to giving a 20% tip here in the U.S. when the service is exceptional but this is not necessary in Paris. I’ll be honest, we struggled with this…A LOT! It felt weird at first just leaving our change behind or not leaving a tip at all but trust me, you do not need to leave a tip. The hubby and I were so skeptical of this at first that we felt compelled to do our research. 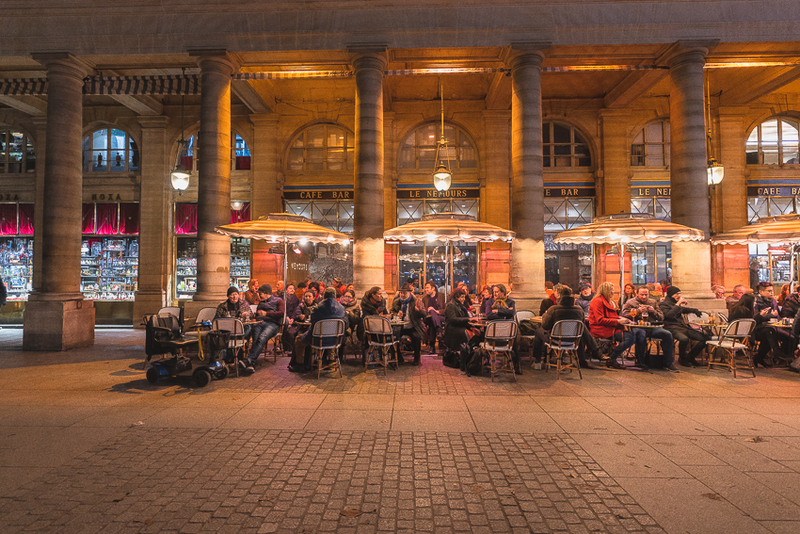 We asked 2 friends who used to live in Paris, 2 other friends who currently live in Paris and someone who travels to Paris frequently and they all agreed that no tip is necessary when dining out at restaurants. The restaurant workers do not rely on tips as part of their salary (unlike the States) and the quality of their service is not directly correlated to a tip. Which leads me to the next point. Before going to Paris, everyone warned us about the service at restaurants. They told us not to tell them we are American because we will get treated poorly and rudely. But our experience was far from that! We had nothing but great service and encountered the friendliest (and funniest) servers. However, looking back now, it could have been attributed to us doing three things. As soon as we walked in a restaurant, we always greeted everyone (the host/hostesses, waiters, bartenders, etc.) in French. “Bonjour” during the day and “Bonsoir” in the evening. We always ordered our food and drinks in French. Terrible accents and all! I believe they truly appreciated the fact that we were trying. I even think they find it cute when Americans try and speak French. They corrected us when we pronounced it wrong and we would all giggle. When they would come back to check on us, it was always “Tres Bien” (which means “very good” in English) or “Magnifique“! Again, speak French or try to at the very least. We didn’t experience food we didn’t like so these two phrases were always our go-to as far as feedback for them. Also, a simple “Merci” (“thank you” in English) goes a long way! One thing I do want to point out is, if you want the bill, you have to ask for it. They are not just going to assume that because you are done eating that you want to leave. 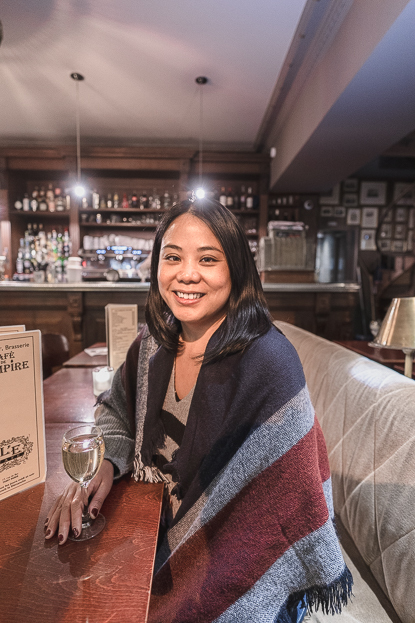 The French love to linger, drink wine, have conversations and enjoy their meal and their company. They are NEVER in a rush to leave. So we had to get used to that too. And to be honest, I wish we did a little more of that here. It was lovely to relax and take our time and not feel like we were being rushed out the door so they can seat the next guests. Aw man, this is a big one! So our first couple of nights in, during dinner, of course you ask for water, right?? I mean, that’s what you do in America! Well, we quickly learned that unless you specify what kind of water, they will give you an Evian (or whatever fancy bottled brand they have) bottle for the table and charge you 11 Euros for it! Yep! You read that right. 11 Euros! And they won’t tell you either, you’ll just see it on your bill after naively ordering multiple bottles of expensive water during dinner! Mind you, an average bottle of really good French wine goes for about 25 Euros so you get the picture. My friend who has been living in Paris for 3 years now with her Chef husband gave us the best piece of advice we got and I am going to share it with you all. When you ask for carafe deux, this tells them that you want regular still water (not the fancy kind) and you wont get charged 11 Euros for it! Game changer!! From that moment on, everywhere we went we were like, “carafe duex, s’il vous plait!” as soon as we sat down at our table. Whew! The French eat late. Like usually the time I go to bed, kind of late. So when we would roll up to restaurants at like 6:00pm it was almost empty and they knew for sure we were foreigners. Dinner usually starts around 9:00pm. By 10:00pm, the restaurant is bustling with patrons and a line may be formed at the door. Again, this is definitely not what I’m used to but hey when in Rome right? So we would have a late afternoon snack and then head to dinner at 9:00pm. There were times we would finish dinner at 11:00pm or midnight and wobble back to our hotel room and go right to sleep! On that same note, because dinner doesn’t start until around 8:00 or 9:00 pm, restaurants are closed between 3:00pm to 7:00 pm. So if there is a particular restaurant you want to go to, make sure you check their service hours. And this goes without saying but it’s always best to make reservations everywhere you go. My advice on this is, do your research ahead of time, make multiple reservations so you have options and cancel the ones you don’t decide on going to. So there you have it! 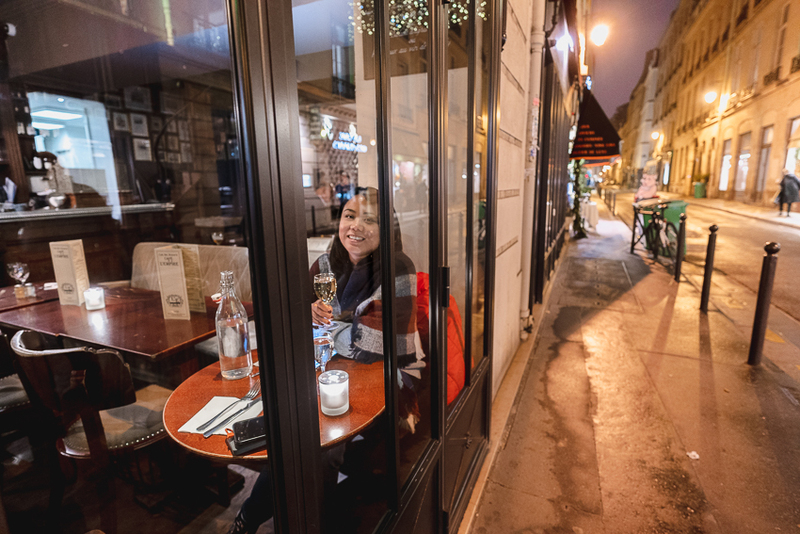 These are my simple tips for dining out in Paris. I hope this helps! And if anything, writing this post really made me miss our trip and got me salivating for all the delicious French food, wine and delicacies that Paris has to offer. It truly is a foodie’s heaven! 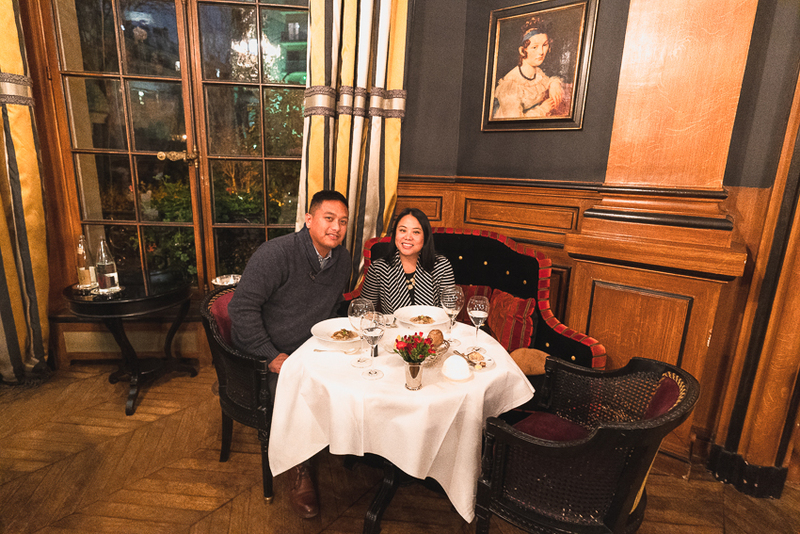 To read about where we dined while in Paris, CLICK HERE. So glad you had such a good time and you mentioned a tip that I always forget! The water! YES! That was a shock for us our first couple of days there. 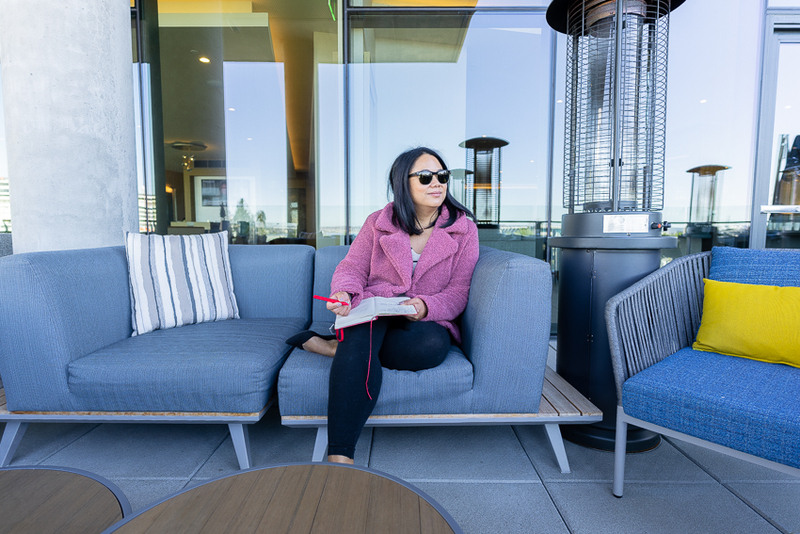 Never miss updates on the latest travel deals, style posts, sale updates, everyday living tips, & more! Welcome to Flashes of Delight. A creative outlet to express my love for family adventures, travel, fashion, food and all things delightful. I have two little ones who remind me to be the happiest I can each day. I hope you enjoy the little snippets of our life and that it inspires you to live your happiest too.